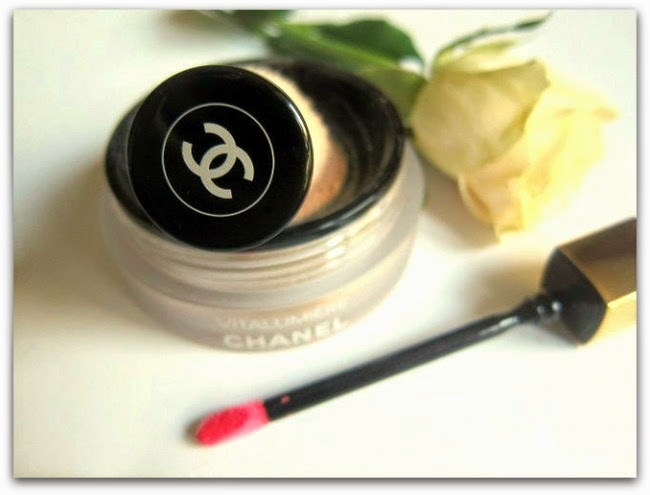 Leave it to Chanel to tempt me into not only wearing, but loving, two beauty bits that I don’t generally give the time of day: powder foundation, and gloss. Let’s start with the base product, as it’s on counter now. 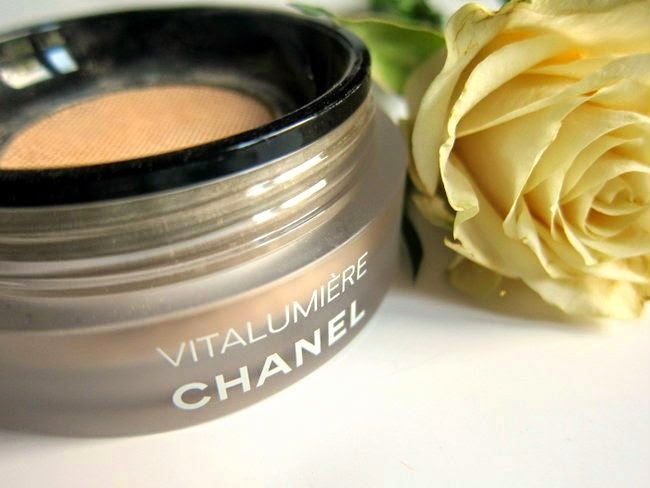 Vitalumière Loose Powder Foundation with SPF 15 is a very fine, silky feeling powder that blurs imperfections and gives a soft, airbrushed finish to the skin. It comes with an excellent mini kabuki brush that, with much less time and effort than I’d have thought, provides longlasting, light to medium coverage that mattifies my t-zone but still looks luminous and fresh. My foundation preference these days is for something natural but perfecting, that will control my slightly oily t-zone – and this certainly delivers. Available in 5 shades for €65 a pop (I have B20, and will need B30 for summer), this is spendier than your average foundation - but it’s multi-purpose (you can also use it as a finishing powder) and the brush is a great little tool. 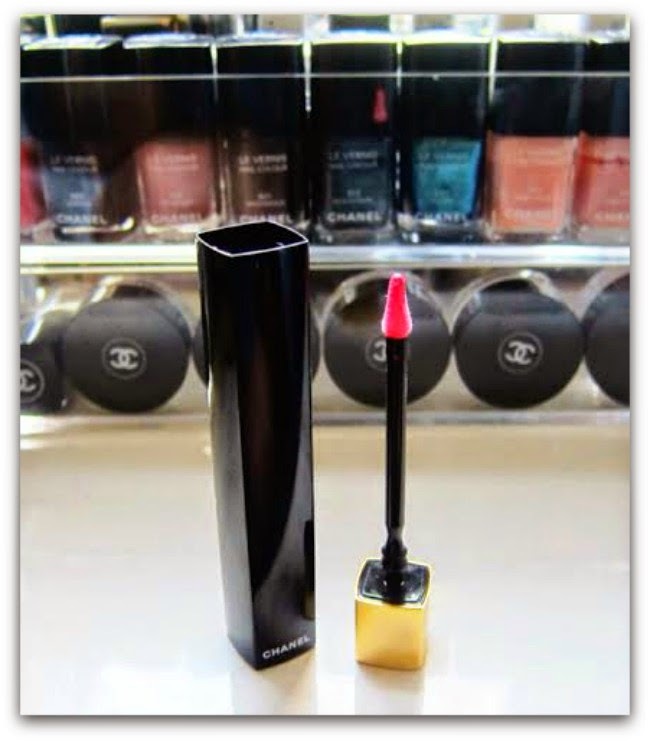 Rouge Allure Gloss lands on October 3rd (I've got my hands on a press sample), and is positioned as the gloss for lipstick lovers, thanks to its longlasting formula and strong colour payoff. The texture is lovely – it’s definitely a gloss, as opposed to a liquid lipstick; there’s a high-shine finish but it feels almost cushiony and balm-like on the lips. The packaging will win you over, too: just like the Rouge Allure lipsticks, you press down on the gilded double C’s to release the product with a satisfying click. The doe-foot applicator perfectly hugs the contours of the mouth and, combined with the long, sleek black tube, the whole experience is nicely premium and high-end, with definite handbag appeal. Of the 11-strong shade range (which includes nudes, pinks, reds and plums), I’m loving Extase, a pleasing warm-toned pink that makes my lips look juicy and plumped up. These will be €32.50 a pop and, even if you don’t think you’re a gloss girl, I'd encourage you to give ‘em a go – I reckon they’ll convert you!